There is no maintenance required, no need to keep the starters charged and no shelf life to worry about. As a result they really do keep your fleet on the road for less, with a 1 million cycle lifespan! Take a look at the new range today! 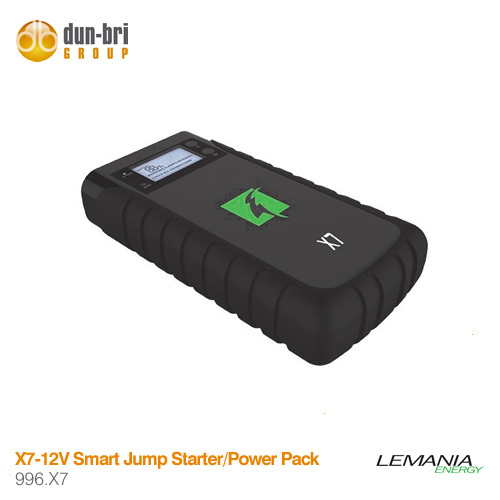 Choose from our six new battery-less jump starter packs from Lemania Energy to suit your own or fleet needs. 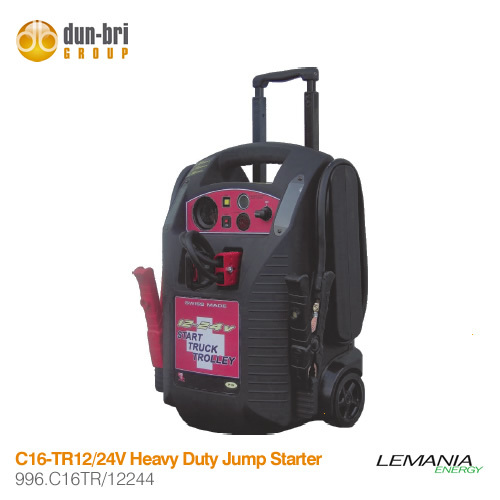 The new range includes an array of 12v and 24v starters from handheld to a trolley mounted heavy duty system. 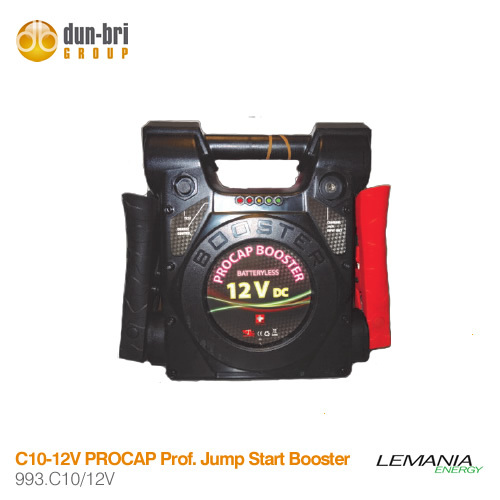 Known as the ‘PROCAP‘ range, these new starters use ultra-capacitors to deliver the power needed to jump start a vehicle instantly, without maintenance. 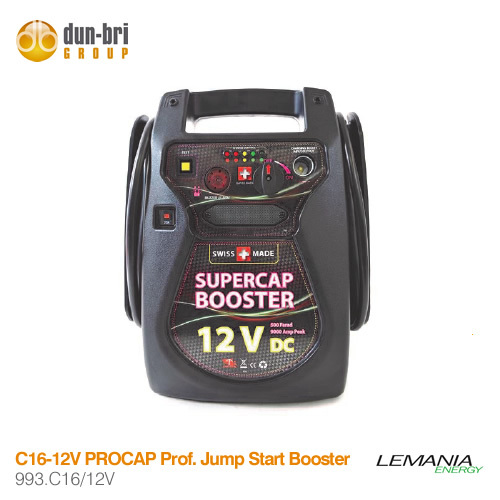 Each ultra-capacitor has been designed and made by Lemania Energy in Switzerland just for jump starting applications. Each unit can be put to work in less than a minute getting your vehicle back on the road, and you can recharge them in under a minute! Via the Supplied Fully Automatic Charger (Will fully charge. If unit is at 0 volts the recharge process should be around 7 hours. If the unit already has some voltage it will be much quicker). Via clamps directly to a Battery (It will only charge up to whatever voltage the battery has and will then use that power to multiply when starting engine). About 2-5 min recharge time. Via clamps on a running engine (This is the quickest recharge time due to the alternator recharging at high speeds). Charging time around 25-35 seconds. The new range of X7 and X10 Lithium ION Battery Power Packs / Jump Starter Packs are the perfect solution in those emergency situations. Fitted with a handy built-in LED torch for use in any location, at any time of day! 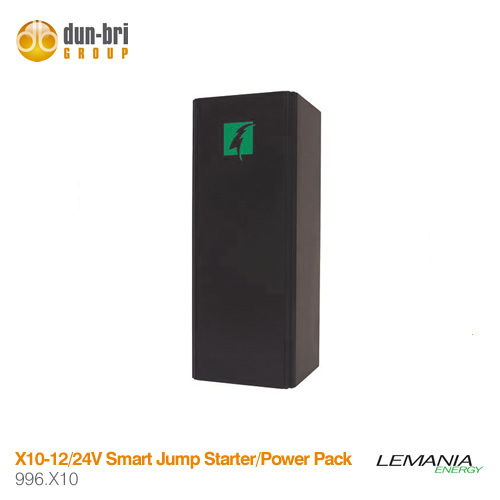 These portable jump start packs offer a power output of 500 or 900 Amps at peak and starting current of 15000 or 24000mAh. Another feature is as a power pack it is also as a handy USB charger to keep your phone topped up. The units have a full charge time of 6 hours (X7) or 7 hours (X10). Because each unit features full reverse polarity protection, anyone can use it. 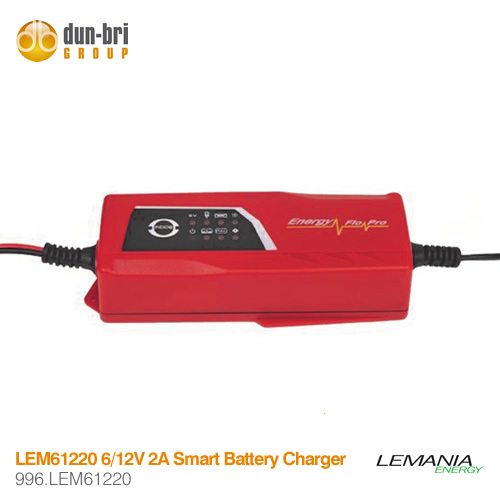 There’s also the new Lemania Energy smart battery charger too! With automatic voltage selection, the unit can charge 6v and 12v WET, MF, GEL, AGM and Ca-Ca batteries.